Despite the controversy over this site it should be restored and opened for tourists. I was, however, saddened to note that these once-magnificent edifices are now giving way. The Sikh gurdwara located at the Retla Mandi needs urgent renovation. The dome that crowns the monument has partially caved in. These disintegrating structures present only a shadow of the grandeur they once had. At a village called Jhaman, on the outskirts of Lahore, is the historical gurdwara of Guru Nanak. 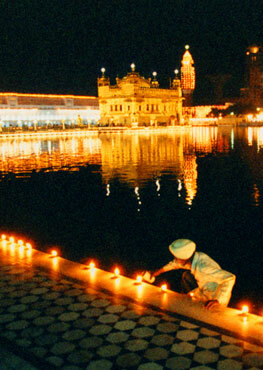 It is believed that Guru Nanak visited this village while he was visiting his maternal house.